There is a reason Chris Sale is, well, Chris Sale. The strikeout of Victor Martinez to end the third inning was an example. But the Tigers have done an effective job of driving his pitch count up. - Marcus Semien hit what appeared to be a perfect double play ball with one out in the fifth. Yet, the ball rolled through the infield because shortstop Andrew Romine abandoned his position to be cover second base with a runner stealing from first. Why was Romine covering second? Semien is a right-handed hitter. There was no shift on. It should have been Ian Kinsler's responsibility to cover second (It would be the opposite with left-handed hitter). Fortunately for the Tigers, Justin Verlander was able to get out of the jam, and doesn't have that high a pitch count (56). But those are the little things, that really aren't that little, that the Tigers do a little too often for their own good. - That combination of Andrew Romine and Bryan Holaday in the seventh and eighth spots in the Tigers' order doesn't exactly appear intimidating. 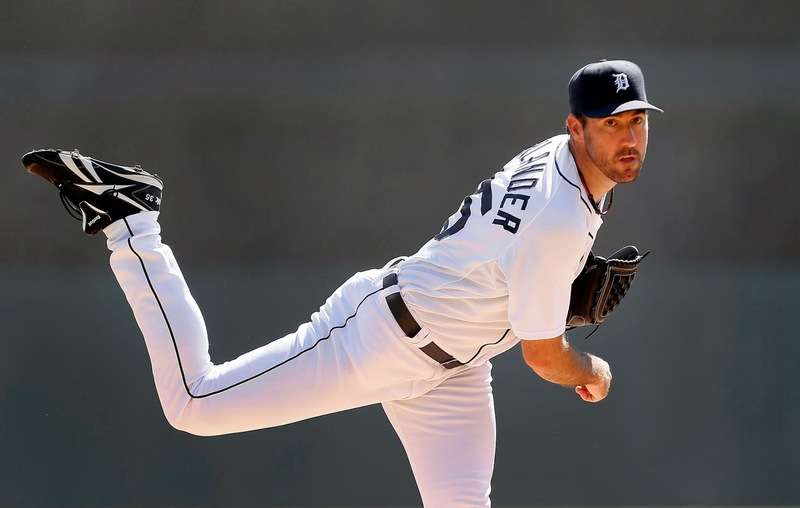 - Verlander is pitching well. He has no walks, three K's and the White Sox have not tagged the ball on him despite their five hits. Verlander's command is much better lately than throughout most of this season.